I don't know about you, but I could do with a little break from the excesses of the holiday period just past. A year ago, when I was feeling equally overloaded with cookies, cakes and rich foods galore, I approached Jennifer, the creator of Sugar High Fridays, with the idea of having a Sugar Low Friday for January 06, and she enthusiastically agreed. It's been a long wait, but I hope it is a challenge everyone will find worthwhile. Your task, therefore, for this month's Sugar High Friday, is to make a delicious, mouthwatering dessert whilst being a lot more frugal than usual with the fat and the sugar. In fact, try not to use processed sugar at all. I'm not going to make any strict rules, I'll leave it to each individual's imagination. As a guideline, I would suggest you try and find your sweetness in more natural, unprocessed products like honey, fruits or maple syrup, but in the end, its up to you to decide how to meet this challenge. Some people may even want to experiment with substitute products like Splenda. Although that doesn't sound like my own personal 'cup of tea', I would be very interested in learning more about how it bakes, tastes and what it actually is, from any blogger who cares to experiment with it?! And remember! At the end of the day, if your dessert doesn't taste totally scrumptious then the excersise will have been a waste of time, so bear that in mind and keep it totally delicious! Blog your Sugar Lower Experience on Friday January 27th, 2006 and then send me an email with Sugar Low in the subject line. In the main body of the email please state your name, your blog's name, the permalink to you SHF post, the name of your dessert and your location. Depending on the number of entries, I will round up all the entries on my blog as soon as possible thereafter. PS The answer to yesterday's quiz was 'praline powder' made from finely ground caramel-coated, toasted almonds. Sweet stuff! Perhaps today isn't the best time to share the recipe - another day, I promise. Congrats to TexMex and Thamuti who guessed correctly. Archive Alert! On this date in 2004 A restaurant review of Townhall in San Francisco. Great intro, Sam! I have been awaiting this SHF for a while now and am looking forward to testing myself in making something sweet that won't make my teeth hurt! A great idea for after Christmas. Those sugar horns in your picture remind me of the horns you wore to the picnic. Where's the sparkles? You gotta have sparkles. My post-holiday, make-that-metric-ton-of-candy-go-away gut thanks you. 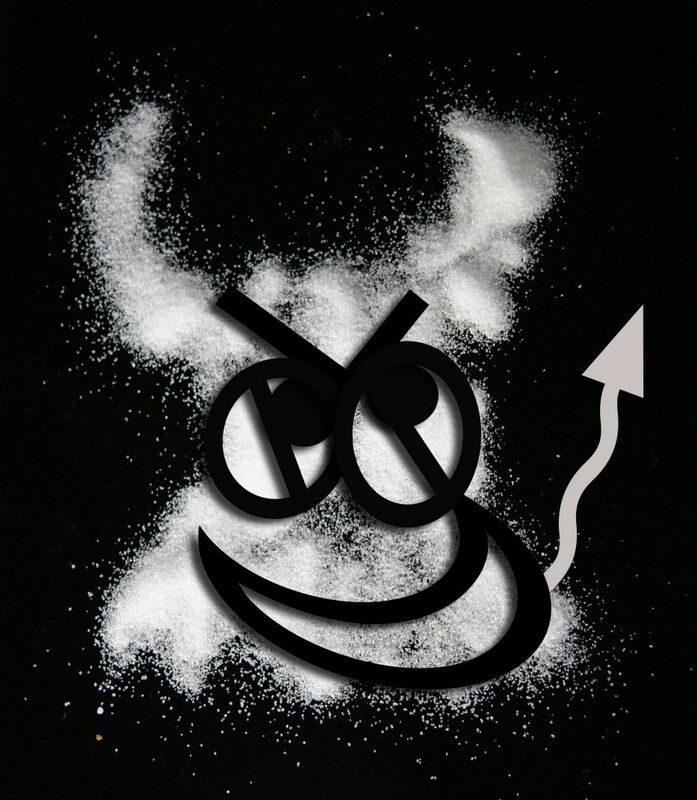 Sugar is the devil, and I can think of other foods I like that deserve horns: pizza, cheese, wine, cookies, fries...mmm! Yes! A sugar break is definitely in order this month... I might use this as an excuse to try agave nectar, which I keep hearing about but haven't tried yet. Fun idea. Sam, you would be surprised at some of the good tasting things you can make with Splenda. I think the new splenda/brown sugar blend is especially good. It does have some sugar, but much, much less than regular brown sugar. This event is something that I can really get interested in. I keep promising to make more low carb desserts for my blog, so here's a good reason to do it. Ah nice idea! Just a quick one though, we are not banning "fat" are we? If such were the case, malheur! great idea! I'm so fed up with the typical sugar coated Christmas cookies right now... A sugar-less dessert will be on my mind when skimming through my cookbooks later on - but I don't have a clue yet where my search will lead me... 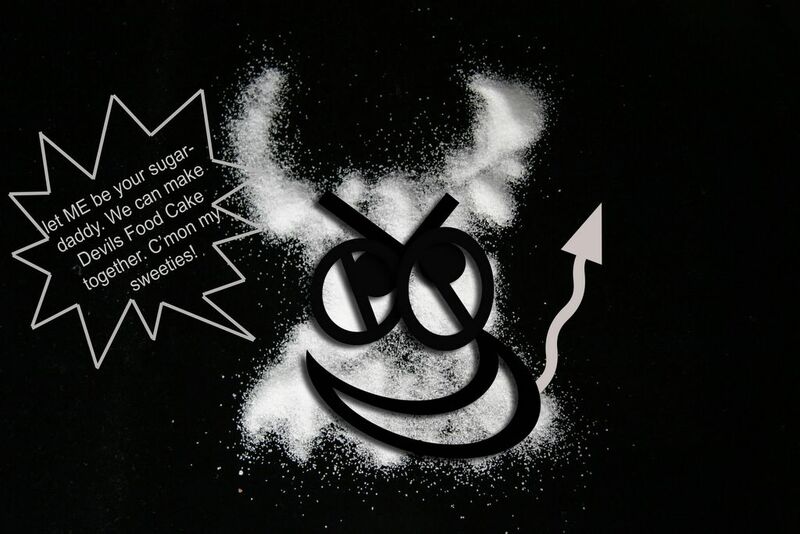 Your little sugar devil is just too cute! Happy 2006 to you and Fred! Jennifer - thank you for letting me host - I cant wait to see your entry. Sara - I am glad you think so - its quite a challenge to come up with the ideas. Well - I have ideas, but whether they work or not is another matter. Biggles - the sparkles are all inside my head! Mrs D - yes - lets send those bellys to the rafters, or the timbers, eh? Mona - thank you - I am not a natural, it took me rather longer than I hoped to get something I could use for a picture. Many disasters getting there - Fred nearly ended up without any supper. Kalyn - I would love it if you could educate us all in the ways of splenda. How natural of a product is it? Bea - fat or no is up to you. Personally I shall try to cut down a little on the fat content. Angie - you meant the year when we hit 40, huh? When life begins???? Nicky - I cant wait to see what beautiful concotion and photo you come up with for this one. good luck with it everyone! Does the sugar in amaretto count? (please say "no" or i shall dissolve like sugar in the rain...) I think I left my will-power and discipline in my other jeans. Oh, what a wonderful idea! I'm really interested to see what kinds of yummy things people will submit. Super idea! I will join in. Nice site. Very well organized & hlepful. I don't follow food blogs per se and do not have one myself. And I am not a sweets person so obviously i won't be submitting a recipe. BTW, I found your blog from my friend Bea's blog- "La Tartine Gourmande" http://www.beaskitchen.com/blog/ as she made some lovely LOW confections per your idea.